Jeff Dunham is a ventriloquist and stand-up comedian. He has performed on numerous comedy shows including Comedy Central Presents in 2003. Some of his usual puppets include a woozle named Peanut, a bitter old man named Walter, and Jos Jalapeo - a talking jalapeo pepper on a stick. His latest DVD, Jeff Dunham: Arguing With Myself, was released in April 2006. 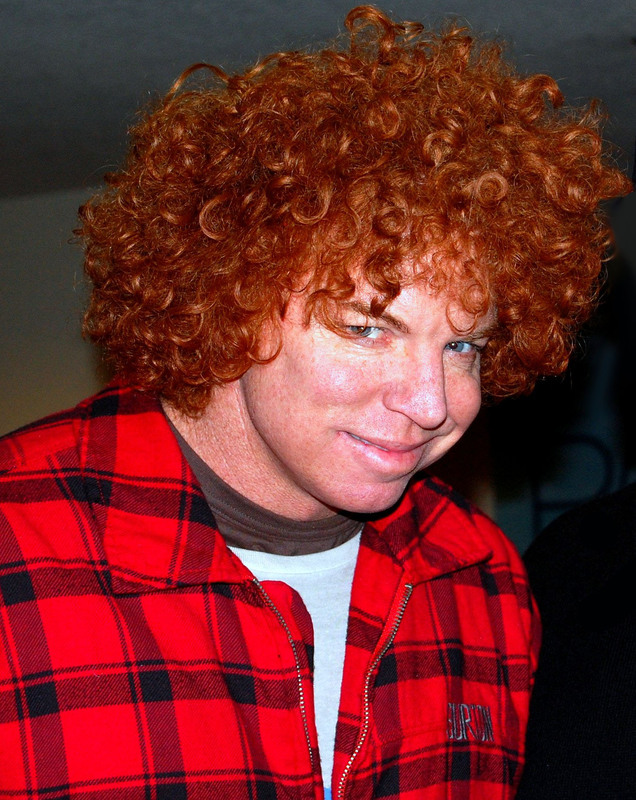 Carrot Top (b. Scott Thompson on February 25, 1965) is a comedian and actor from Rockledge, Florida, United States. He is best known for his prop-based comedy routine and for being the continuity announcer for Cartoon Network from 1995 to 1999. He often appears in films and television shows as a self-deprecating parody of himself. Daniel Tosh is a comedian who currently resides in Los Angeles, CA. He has recently performed on Comedy Central Presents. He has also made appearances on such shows as The Late Show, The Tonight Show, and Premium Blend. " Born in Germany but raised in Florida, Tosh's father is a preacher, this often shocks nearly everyone who has ever heard any of his material. Early life Griffin was born in Kansas City, Missouri to Doris Thomas and Eddie Griffin, Sr. He has two siblings, Luther and Wilbert. He attended Lincoln College Preparatory Academy High School in Kansas City, Missouri, where he was voted class clown three years in a row. After marrying at age sixteen, he divorced a year later.